​Manchester City produced a dominant display to overcome the pressures of the title race with a 3-1 victory over Crystal Palace on Sunday, as Pep Guardiola's attacking juggernaut rolled on. With Liverpool displaying nervy moments and the occasional dip from their usual level during recent games, City have generally carried on as usual and continued to set the standard in the Premier League with fine attacking displays. The champions maintained their momentum at Selhurst Park on Sunday, as a brace from ​Raheem Sterling and a late ​Gabriel Jesus strike capped what was a generally comfortable afternoon in south London, made so through their own quality and composure. ​Manchester City have now scored 150 goals in all competitions this season, the second time a top-flight side has managed that feat in all competitions in top-flight history, with City also doing so in 2013/14 (156 goals), as per ​Opta. Despite the pressure applied by ​Liverpool's plucky challenge to the champions' domestic crown, City have consistently maintained their purpose with arguably the highest technical level of football in Europe this season. 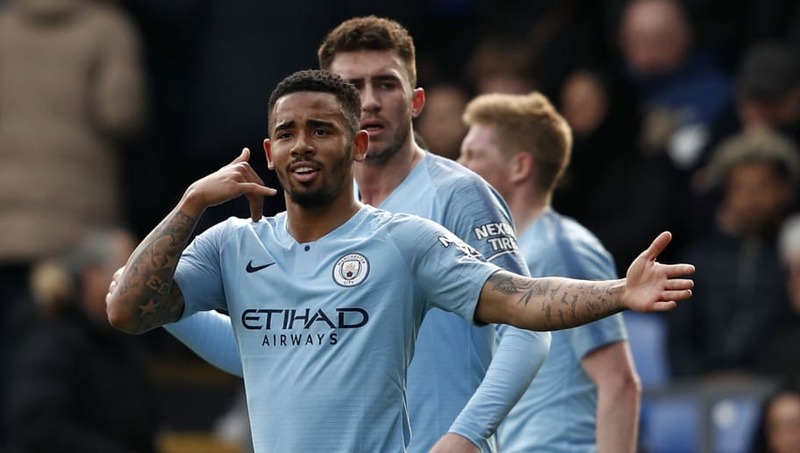 A trip to face Roy Hodgson's typically physical ​Crystal Palace side in the intense atmosphere of Selhurst Park posed the latest challenge to City's title defence, but the Citizens passed the test with aplomb. The Palace fans were kept unusually quiet, besides for the few minutes after Luka Milivojevic provided a late reply to give City a minimal scare, before Jesus added City's third to give a more accurate reflection of the game on the scoreline. The Eagles were uncharacteristically flat and excessively defensive, but that is testament to City's dominance and the assurance with which Guardiola's side went about their business. Sunday was billed as a potentially telling day in the title race, as the conclusion of City's encounter with Palace was to be shortly followed by Liverpool's meeting with ​Chelsea at Anfield. Only a win was enough to take City above Jurgen Klopp's side ahead of the Reds' game later in the day but, if Liverpool breathing down the Citizens' necks added any pressure to proceedings for the champions at Selhurst Park, it certainly did not show. In truth, City could have scored more and a higher scoreline would have given a fairer reflection of their dominance, but for some casual finishing on occasion. However, the fact that Guardiola's side still managed to win under such circumstances with a considerable degree of comfort, despite never truly putting Palace to the sword as much as they could have, only further emphasises just how confident and in control City are right now.